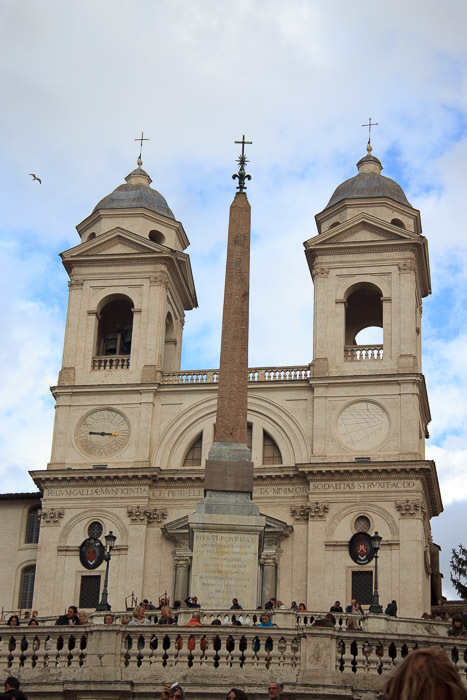 Trinita dei Monti is the church at the top of the Spanish Steps. The church is the responsibility of the French State. I haven't yet been inside the church. Construction started in 1502 and dragged on for decades, being consecrated in 1585 by Pope Sixtus V. The Gothic church with a Renaissance facade has two bell-towers. Inside, several paintings decorate the various chapels. Among them are two works by Daniele da Volterra, a pupil of Michelangelo. The Sallustian Obelisk stands in front of the church. 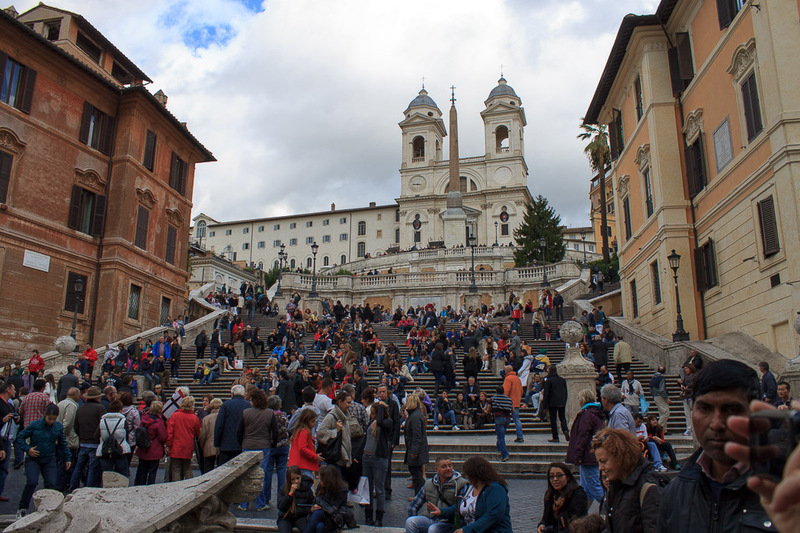 See all Trinita dei Monti photos.